1. 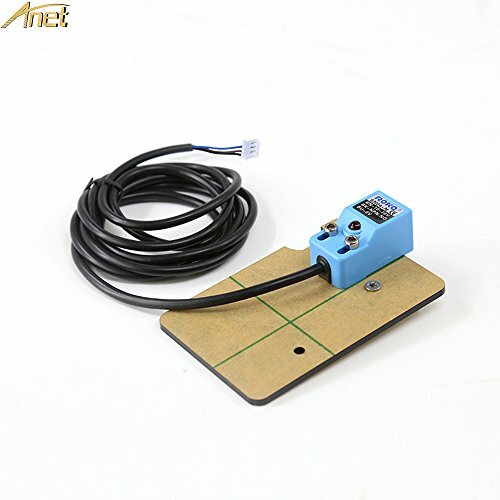 3d printer waterproof anti-jamming DC three-wire npn often open square inductive metal sensor proximity switch sensor 10-30v. 2. This is an auto level sensor for the Anet A8 or other Prusa i3 Models. 3. Easy installation, just unplug the original z stop and plug in sensor and screw into the back of printer. 4. Need to flash official firmware to make this function. This auto-leveling device can only be used on Auto-leveling Anet A8, other 3D printers are compatible, need your own control parameters, and to confirm whether the machine has automatic leveling function. This product is not 100% compatible with other brands of 3D printers. If the machine is Anet A8 need to upgrade to the automatic leveling, you need to brush the firmware. Please contact us for specific operation, we will send you the firmware. Suits for auto-leveling Anet A8 3D printer. Pretty solution for auto-adjusting heatbed level.